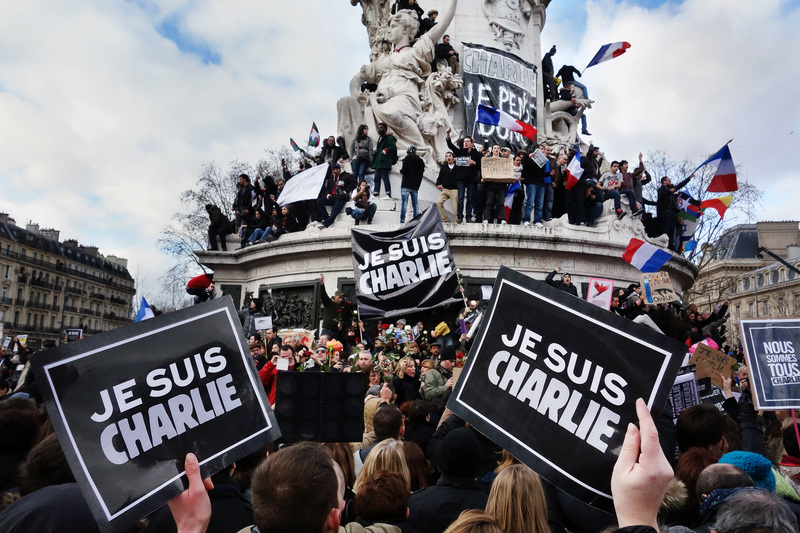 The world is at march after 12 people were killed in an attack at Charlie Hebdo, a French satirical magazine. The publication printed caricatures of the prophet Muhammad, causing a debate regarding the nature of free speech and satire. Millions took over social media sites with the hashtag “Je suis Charlie,” and many more set their voices afoot through the streets of France in defiance against terrorism and in solidarity with those killed. Not everyone marched in support. In Niger, 45 churches were torched in protest against the images published by Charlie Hebdo. In Chechnya, around a million marched in a state-supported rally against the French publication. The magazine has led the discussion on whether something should be published, and just how far satire can stretch. “Effective satire points out the absurdities and contradictions in political and public life,” says Bill Dawers, Professor of Journalism at Armstrong. However provocative, some feel that the content that Charlie Hebdo publishes cannot be objectively regulated, and believe that its purpose to stir on subjects that are often left untouched ought to be respected. Tony Morris, English professor at Armstrong, says that Charlie Hebdo serves more of a social function. “I think that even though their political cartoon commentary is at times inflammatory, people must have that type of outlet to express themselves. Instead of having violence, we could have language serve that purpose,” he said.